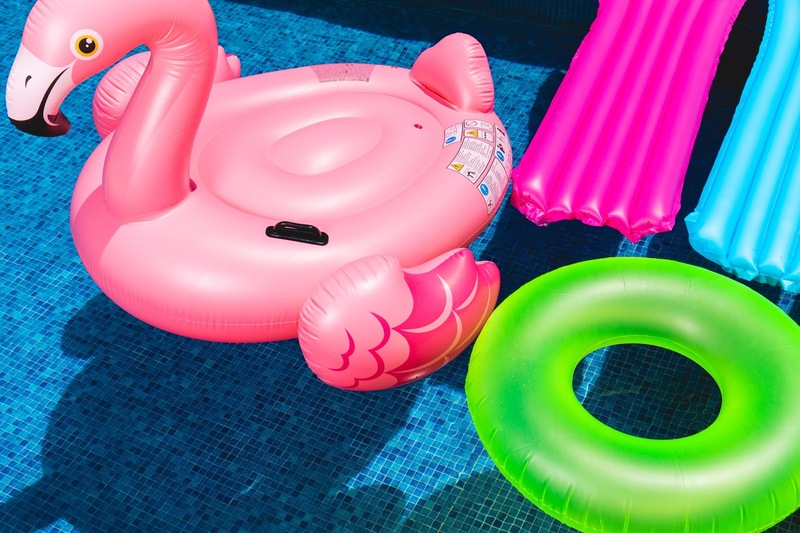 When you consider what inflatable pool lounger to buy for your summer holiday or home pool, there are a variety of options to suit your needs. Therefore, with a plethora of inflatable pool loungers to choose from, we’re going to do a run through of the ten primary types of inflatable loungers which will hopefully help you decide on the perfect one (or two) for your swimming pool or summer vacation. This is the bare-bones inflatable that can fit an individual at a time. They are usually made from cheap plastic and mesh. It does the job, but won’t last long (primarily due to leaks) and the colours will gradually fade after extended exposure to sun light. They are small, and come in a variety of designs and colours. Parents should always stay near their young kids when using the pool float, to make sure their child doesn’t capsize, putting themselves at risk. Owing to its size, the toddler pool float can be used in spas and Jacuzzis. Made using heavy-duty vinyl plastic, bubble chairs are equipped with an over sized back and large headrest for you to lean on. Not to be confused with the bubble chair, recliner loungers look and function much like a sofa. You just climb on, and recline as far back as you want. Double loungers accommodate two people, usually next to each other. However, some models are designed to fit anything up to eight people. Animal Pool Lounger - Giants swans, giant ducks and giant flamingos – need we say more? These animal inspired loungers make floating that little bit more enjoyable, and creates that perfect Instagram shot. Party Pool Lounger - Party pool loungers are much larger and can accommodate between four and eight people. House Lounger - House or habitat loungers are very large, enclosed floating platforms that bear a similarity to bounce houses. They usually have multiple entrances, extra thick floors and a very recognisable theme (like medieval houses and castles). Sports Lounger - Sports loungers are significantly more expensive due to licensing fees. They will usually bear the emblem of a club or athlete. Gee loves her pool loungers and we have had a variety over time, she especially loved the dolphin we bought in Mexico. Do you have a favourite pool lounger?